In 1965 the British withdrew from Malaysia their hydrographic assets and platforms and then transferred the responsibilities to chart the nation's hydrographic territory to the Malaysian Navy. The Hydrographic Department of the RMN was later formally established in 1969. The Royal Nav y transferred a converted Ton class coastal minesweeper HMS Myrmidon that was commissioned in 1968 as the KD Perantau to become the navy's first survey vessel. 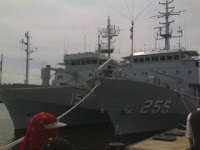 This vessel provided the RMN the ability to execute hydrographic activities without any foreign navy's intervention. 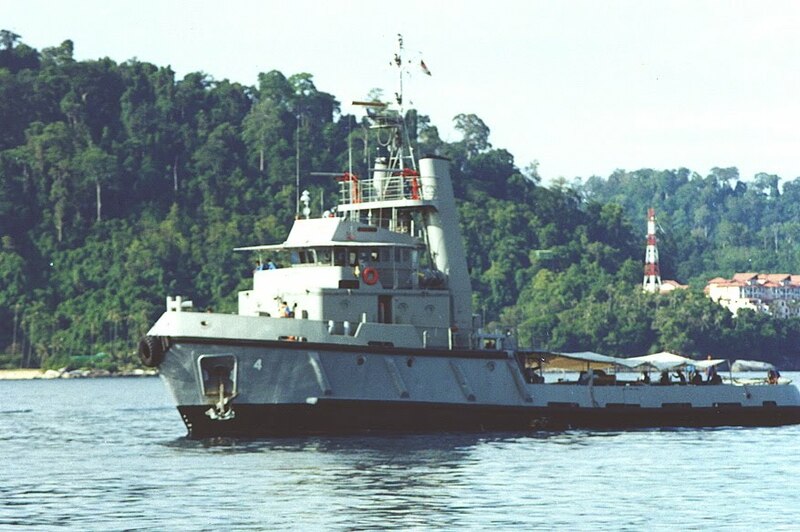 As KD Perantau alone wa s not able to meet the demand for hydropgrahic duties, a converted tug KTD Penyu was also pressed for hydrographic duties later on. The later acquisition of modern hydrography vessels enabled the RMN to commence gathering of bathymetric data that not only supplied nautical charts for surface ships but ultimately allows the vessels to be involved in the training , search and rescue missions and assisting in weapons training, anti-submarine warfare and submarine operations. 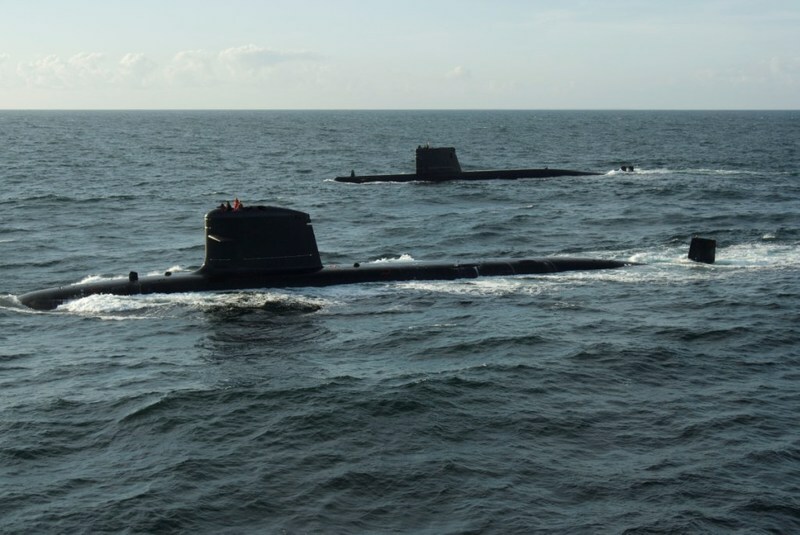 This is especially useful since the Malaysian Navy after a 30 year wait has now received two modern attack die sel submarines to complete their 3 dimensional naval warfare capability. The submarines are not only a very good deterrent but is a very good force multiplier for a small navy like the RMN to act as a credible defence force for the nation. With the hydrograhic force working in concert with the submarine arm, the sub-surface will not be a stranger or an obstacle to achieving success. KD MUTIARA was built locally in Penang by Hong Leong Lurssen Dockyard. 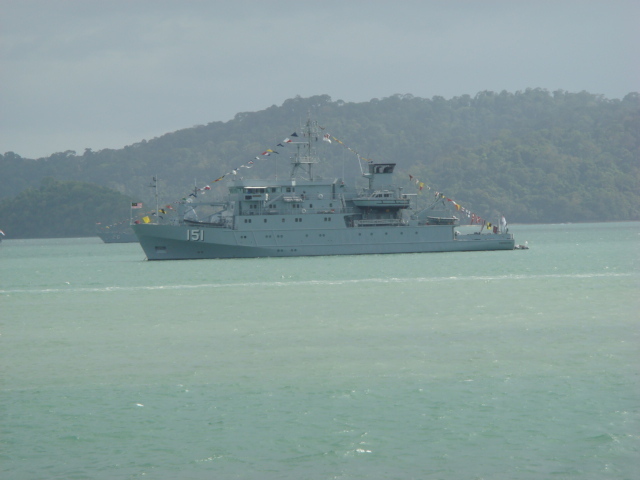 She was originally commissioned to the Royal Malaysian Navy’s Fleet on 18th December 1977 with the pennant number A 152, but was renumbered after taking on grey livery and is the squadron leader to the 36th Hydrographic Squadron. Her endurance renders her sustainability at sea for a maximum period of 3 months. She is fitted with the latest state of the art Hydrographic and Oceanographic surveying system and is complemented with 4 surveying boats and 2 working boats. She has an impeccable record of successful hydrographic surveys and has contributed to the production of more than 50 nautical charts and completed her upgrade in 2004. Propulsion: 2 X Two Deutz MWM SB8 M628 diesels for 4760 bhp, 2 shafts Berg controllable pitch propellers, 1 Schotel 3 ton bow thruster. 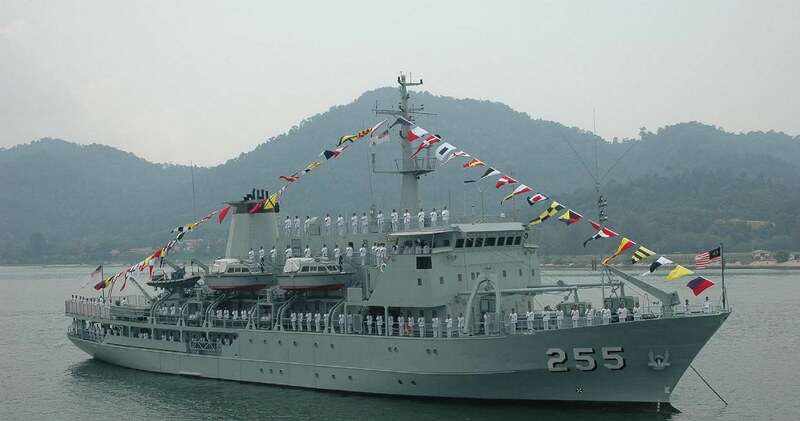 KD PERANTAU was ordered from Germany’s Krogerweft but was built locally in Penang by Hong Leong Lurssen Dockyard. She replaced the former KD PERANTAU which was decommissioned in 1990. 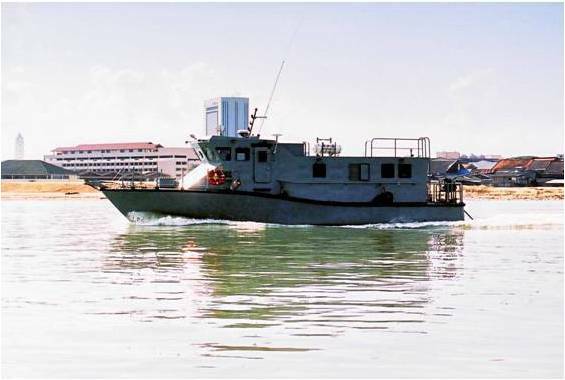 KD PERANTAU was built with a combination of local expertise in shipbuilding and design and the main hydrographic and navigation system are based from German's technology. The ship was designed and equipped specifically for hydrographic surveying operation and conducting meteorological and oceanographic observations mainly in the tropics. he ship also carries two survey launch mainly deployed for surveying in shallow water equipped with shallow water multi-beam echo-sounders and short range UHF differential GPS. 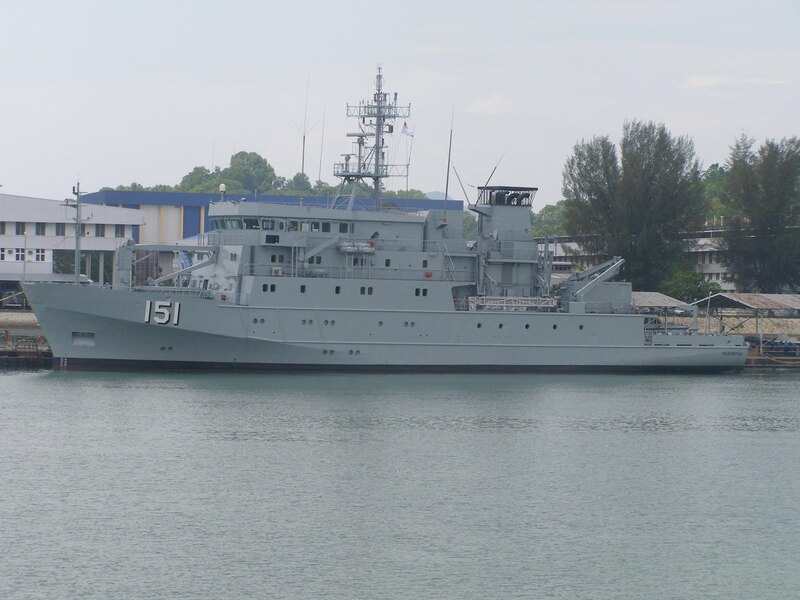 In addition to the survey launches on board the hydrographic ships, the Royal Malaysian Navy has also commissioned two locally built hydrographic survey launches that operates independently to complement the ships' operations. Based in East Malaysia, these craft will be used for hydrographic survey and data collection. Electronics: SUBTICS combat control system, I-Band navigation radar, Thales DR3000 ESM, TSM 2233 Mk II Hull Mounted Sonar, active/passive search and attack. Propulsion: 2 x SEMT Pielstick PA4 200 SM D-12 DS Diesels, Exide Hagen propulsion batteries, 1 Jeumont Industrie Motor, 1 shaft. After a thirty year wait where the idea to induct a submarine force into the navy was first broached in the 1970s and the first submariners started training in 1985 but came back not to a submarine but a submarine planning duties, our first two submarines was finally declared fit for duties after passing their tropical, underwater and maintenance tests in november 2010. The Scorpene type submarines were cooperatively built in France and Spain and is based on a nuclear attack submarine design that ensures a very quiet platform in operations. Currently the most modern submarine in the region, these submarines are both armed with both anti-ship missiles and torpedoes that can be launched from their six 533mm torpedo tubes with a weapons capacity of 18 torpedoes and/or missiles. These are the Whitehead Black Shark wire-guided torpedoes from Italy and sub-launched SM39 Exocet anti ship missiles from MBDA and although it has been reported that the submarines can launch 30 mines alternatively, the type and whether the mines has been purchased is unknown. 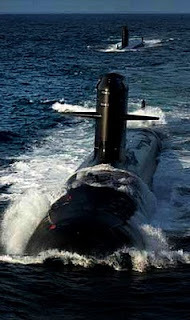 In addition, these submarine has not been equipped with AIPS (Air-Independent Propulsion System) which allows a greater submerged endurance and reduced vulnerability but this can be inserted at a later stage. 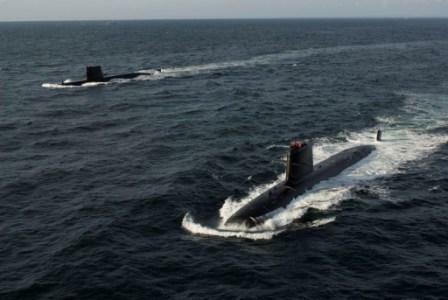 The induction of these submarines now completes the naval capabilities of the navy in all the operational theatres it operates in. I am an editor for a Additional Mathematics Form 5 book in Malaysia. I would like to reproduce the photo of Mutiara Class AGS that appear in your blog. It is mainly for educational purpose. I would like to appreciate your permission to use that photo. I can be contacted at vvlim1612.hotmail.com. Hi Vivian. I do not claim any ownership of the photo. It appears based on fair use basis as stated in the fair use notice below. I believe ADPR is the actual owner of the image. What Can We Read Into This? Slowly Drawing Out The Knives? Why Should There Be A Controversy? Can Somebody Answer Me This? So Do We Need Another Bunga Mas 5? It Is Defamation From Now On. Sir Can You Teach Me? DND Looking at Improved and Enhanced Versions of HAWK SAM...!!! RMAF Kuching Memoirs (Jan,1981 to May,1983). TEMPAHAN KERIS: Alhamdulillah.. Badik berpamor tempahan bergading sudah disiapkan. Parang Tamman. 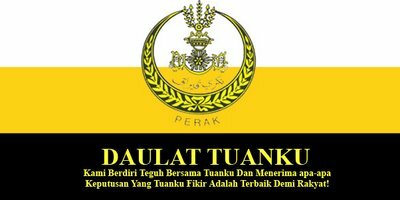 Pertukangan Hulu dan Sarung parang.